Hi Friend Welcome to Our Blog. Today is an Tutorial for Changing the Icons for Any Application or Folders in Windows 10 PC. How to Change icon for Any Application ??? friend,just follow the Steps Below. 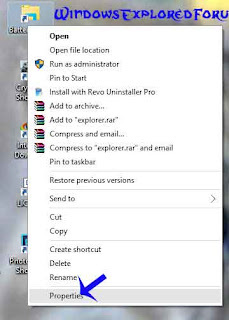 Step 2 : Right Click on Any App,You Need to Change Icon for,Example: Battery saver. Step 3 : Click on Properties. Step 4 : Click on Change Icon on Shortcut tab. Step 5 : Select the new icon on the list that Appears. Step 6 : Click on OK. 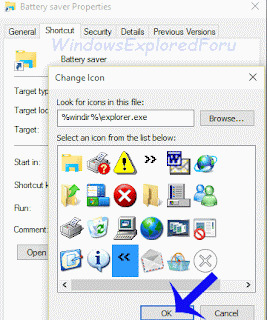 Step 7 : To Save Changes,Click on Apply and then OK.
Navigate and Select the New icon Which needs to be added. Logesh September 03, 2015 Let me Share my thoughts!